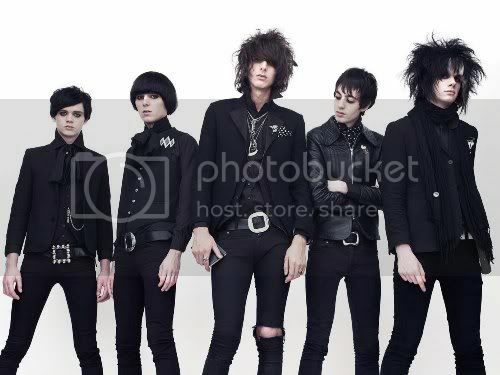 The Horrors - Moving Further Away NEW! NEW MUSIC OF NOTE - The Horrors new album hardly comes to us from a vacuum of critical apathy. It seems everyone wants to have his or her say on this release, and this band. Most of the reviews of The Horrors have taken up a fairly predictable narrative to tell us about them. Put simply, the Horrors have been doubted twice by many. On their first album's release they were just an exercise in style over substance, who spent most of their advance on their hairstyle and who wouldn't last. Then, when they mysteriously managed to release one of the best albums of 2009 ("Primary Colours") – Mercury nominated, NME album of the year, etc. etc. – it was apparently the involvement of Portishead's Geoff Barrow that had led to their success. Either way, The Horrors seem to have been able to grow in spite of a tide of more or less dismissive commentary. Listening to "Skying," their third album, I left wondering about all these reductive reviews, and the effect they must have had as they produced it, without Barrow's guidance. I assume they still feel they have a good deal to prove. Whether that drive has paid off is a rather complicated question. I can't say this new album will sweep away the critics – I'm sure it will (and has) not – but some of those still naysaying are so animated in their hostility that it makes me a little skeptical that they are stopping to actually give the album a chance. At the very least there is the possibility that listening to "Skying" will reveal what part of the celebrated "Primary Colours" was 'really them,' which is worth some time for any music enthusiast. If The Horrors are hollow and talentless, could their producer still managed to create something remarkable with the band as merely marionettes? My answer would be absolutely not. Even someone as skillfull as Barrow needed something to come from the other side of the control room glass. Flying solo on this new album, there are lots of interesting moments which display the same kind of slightly disturbing, off beat edge that "Primary Colours" was so packed with. The keys and string samples on tracks like "Wild Eyed," the rage on guitar parts in Suede-influenced "Monica Gems," etc., show that The Horrors have something about them that's worth some time (and some praise). I've recently written about lead singer Faris Badwan's fascinating side-project Cat's Eyes too, which shows that he has more depth of musical taste than he's been given credit for.